The results are in, and Eric and I have held on to our title, but just barely! 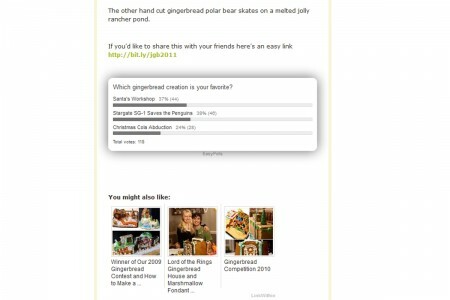 This is definitely the closest gingerbread contest yet. There was no telling who was going to win until the very end! 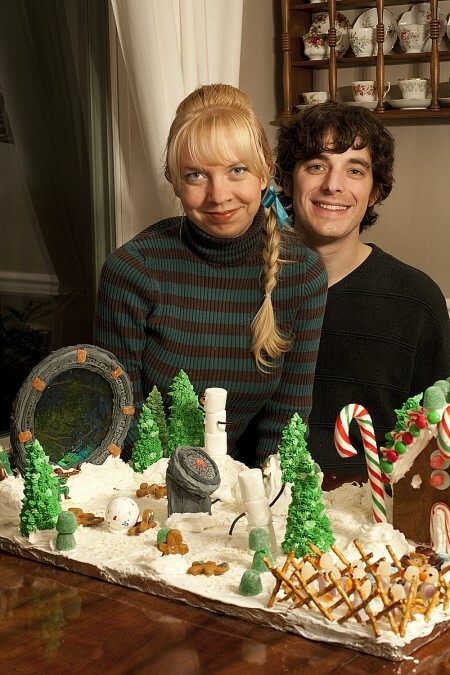 If you haven’t already guessed, our gingerbread creation was the Stargate one. This year we finally finished watching the entire series so it seemed fitting to celebrate by memorializing the SG-1 team in gingerbread and candy. In a very close second, Patti and Jeff (Eric’s parents) made Santa’s Workshop. Every year they definitely stomp us all in the cuteness factor! Right behind them were Heather and John (Eric’s sister and brother-in-law) with their uber creative abduction of Coca-cola. How amazing was that spaceship?! Is it just me or do we all look tired? We really were! The competition almost didn’t happen with all the crazyness in our lives, but it all worked out and we had a blast making our gingerbread creations. Thanks everyone for voting and supporting our friendly competition each year! They were all so amazingly creative. Wow. 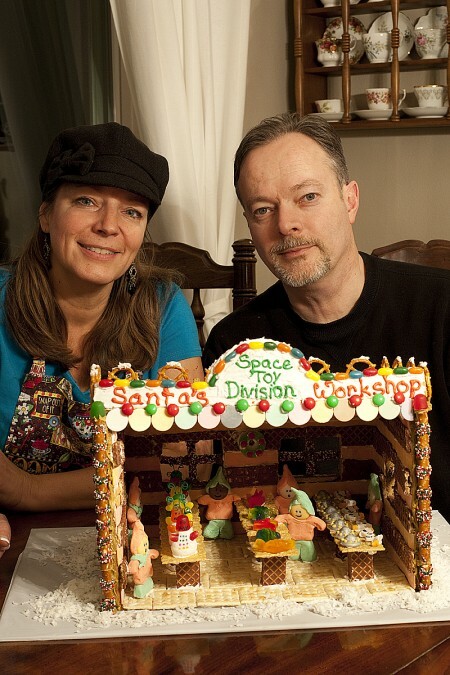 Have you seen the gingerbread houses in the Sheraton in downtown Seattle? We saw them last year but haven’t been yet this year. OMGosh! 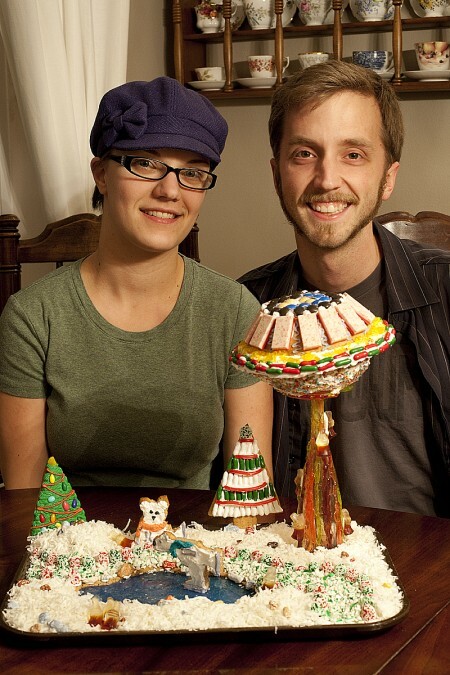 You put our first family gingerbread contest to shame! Congrats on your win and maintaining your title!